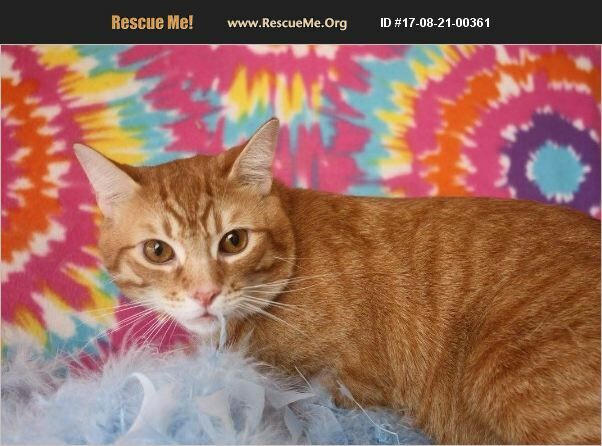 Symba is a handsome 1 year old orange tabby who is looking to find forever love and a family to call his own! Symba can be a very outgoing boy, but is a little timid when you first meet him. Symba is a gorgeous, playful young man who is very vocal and can occasionally give love nips to his people, so he will need an experienced cat owner and a home with no children. Symba is litter box trained, up to date on shots, ear mite treated, neutered, and microchipped. His adoption fee of $80 includes a free vet visit as well as 30 days of pet insurance. To meet Symba, come to our PetSmart cat adoption center located in Christown Spectrum Mall at 19th Ave and Bethany Home Rd.